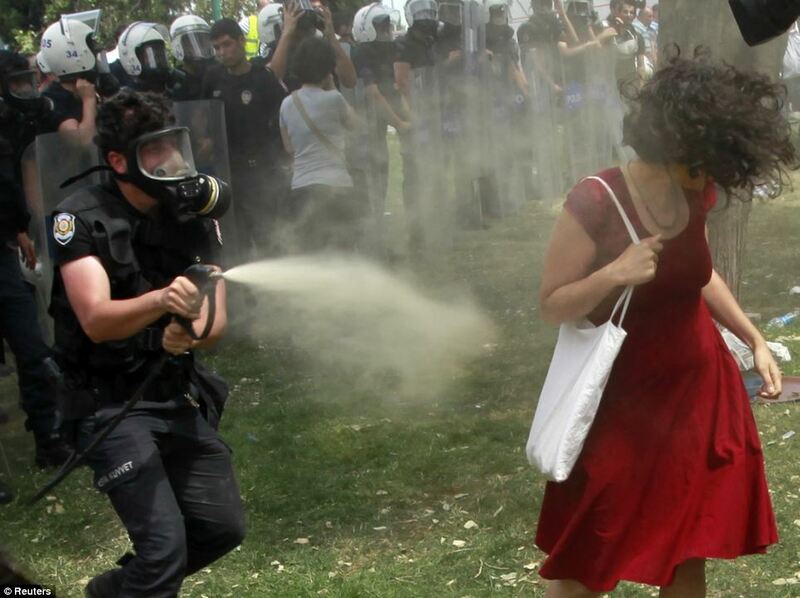 One year on, and the same police brutality as was used to clear peaceful protesters from Taksim Square a year ago. 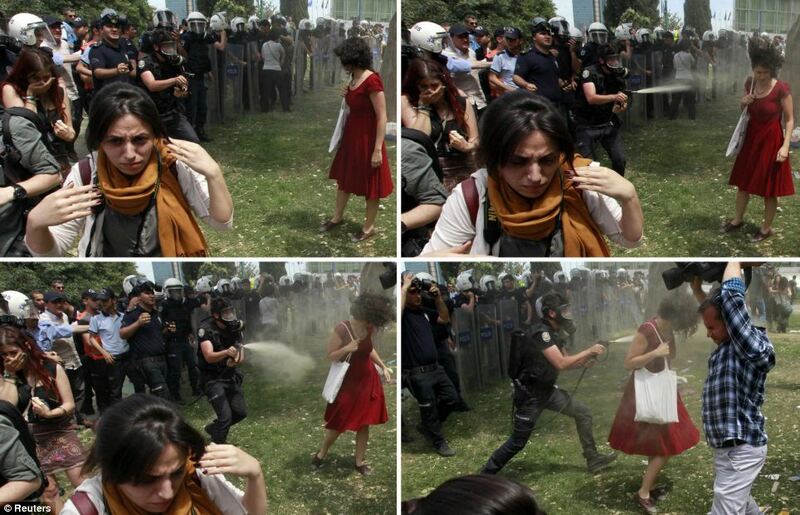 Ten days ago, we had a mining disaster, an advisor to the Prime Minister viciously kicked one of the protesters. The Prime Minister too lashed out at protesters. The mining disaster was dismissed as no great matter. A brutal dictator who the people must depose. At this time of year, I used to see vendors on the streets in London selling hot chestnuts. I say used to, as I do not know if it happens any more. I was in London this time last year, and nowhere did I see hot chestnuts on the streets. A couple of weeks ago, at a Christmas Fayre in Farnham, hot chestnuts on offer, but not traditional hot chestnuts from a street vendor, these were being cooked on a gas-fired barbecue! 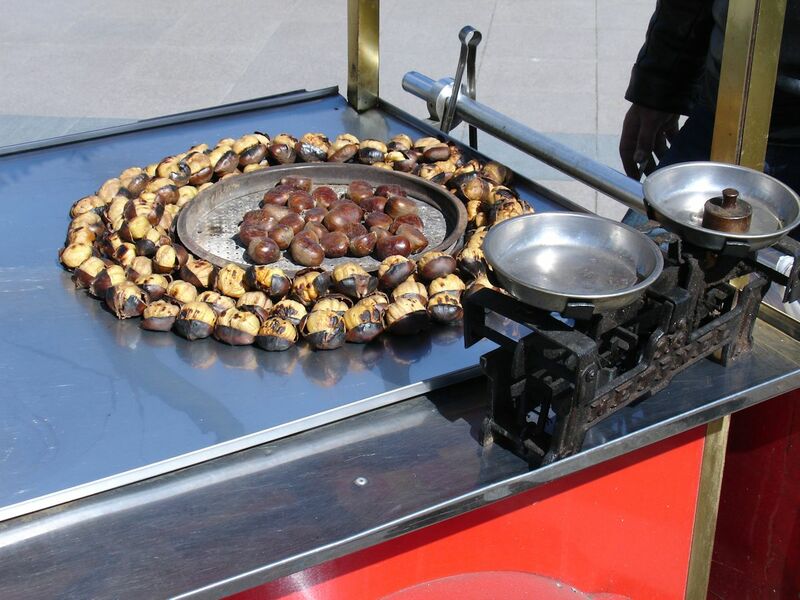 The one place I have found hot chestnuts, and where I least expected to find them, was on the streets of old Istanbul. Everywhere I came across streets vendors, each had an identical stall, but each had his own display of hot chestnuts, each display different. And the chestnuts? They were delicious, far better than I have ever tasted on the streets of London. Around the Blue Mosque, Hagia Sophia, they tried to rip you off, that is until I pointed out I knew the price, then they backed down. What I also liked, was the lovely old scales they used to weigh out the hot chestnuts. The only time recently I have seen hot chestnuts, was in the old part of Athens, only a couple of stalls. I tried. Expensive and poor quality to what I had found in Istanbul. Unlike London, where hot chestnuts are found around Christmas time, in Istanbul and Athens, it was March. Whether available all year round, I do not know. Published on Medium with pictures of stalls. 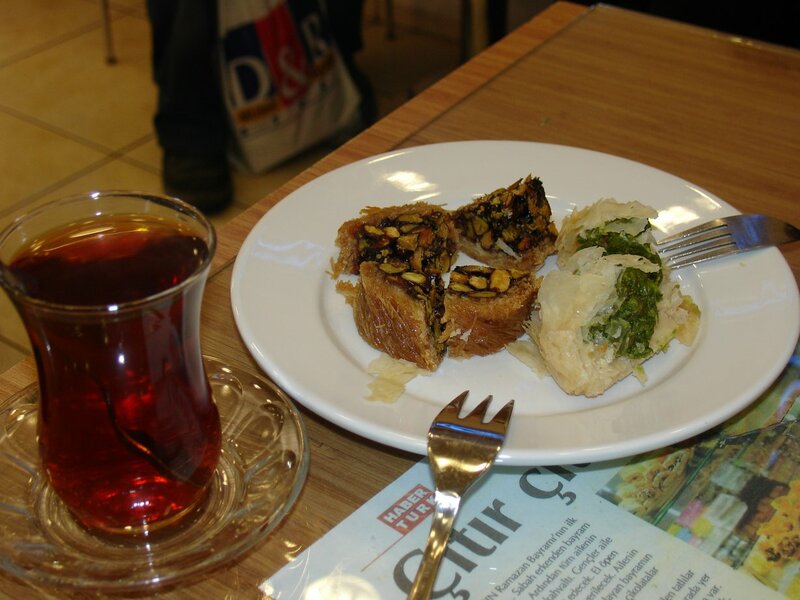 One of the things I liked in Istanbul, was in the old part, down very narrow streets, tiny tea shops with the most delicious cakes. Best with a friend, then you can sample more of the cakes and share. The tea is red, served in a glass, and sweetened. I would not usually drink tea with sugar, but when I tried without, I found it to be very bitter. What the tea is, I do not know. I asked, but the communication gap was too wide to be bridged. The cakes, I do not know what they were either, other than they were delicious. Everywhere is Taksim, everywhere is resistance! This morning, the forces of repression, went in very heavy in Gezi Park and Taksim Square, armoured vehicles, water cannon, tear gas, rubber bullets. Advisor to Turkish Medical Association says 10 Head Injuries across Taksim Square from Tear Gas Cannisters fired too low. Most taken to hospital. 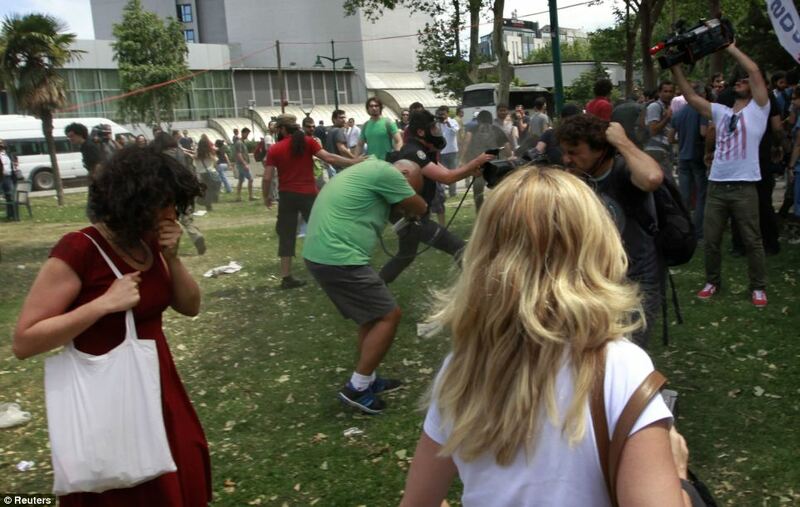 Gezi Park Medical Tent reports three broken legs, three head traumas and many overwhelmed by gas. They have their own generator in case electricity is cut. Lawyers have been dragged from the Court House. When lawyers are dragged by riot police from a Court House, Turkey loses all pretence of a modern democracy. Turkey tops the list for journalists in gaol. Is Turkey now trying to top the list for lawyers too?. Last week, the Turkish Prime Minister was calling the protesters terrorists, today he is saying they are part of an international conspiracy. Please sign the Amnesty International petition. Please sign the Avaaz petition. 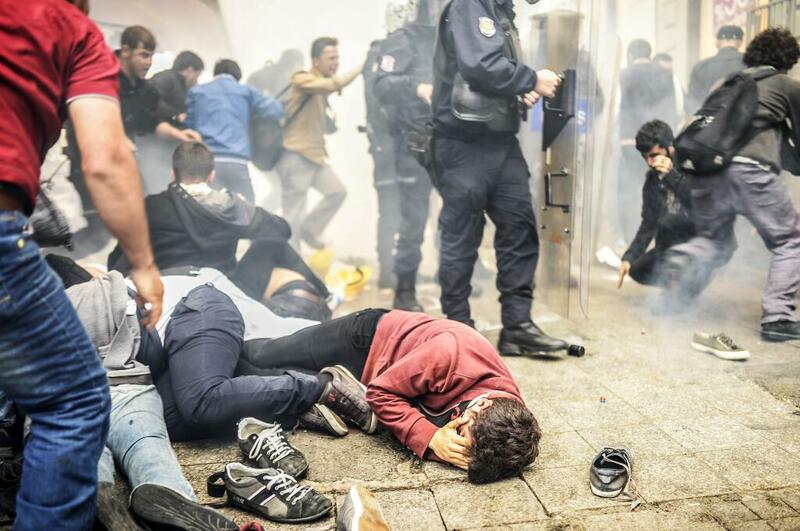 What began as a peaceful protest in a park in Istanbul to stop the destruction of the park for a shopping mall, rapidly escalated when the repressive police used extreme force to attack protesters. As the protests have shown, there is no democracy in Turkey. The Prime Minister calls the protesters ‘terrorists’ and social media as ‘the worst menace to society’. The police are now arresting protesters for using twitter. It is important therefore, people around the world re-tweet and repost these images in order that the brave people of Turkey who have taken to the streets to oppose a hard-line Islamic regime know they do not stand alone. Turkey is not a democracy. 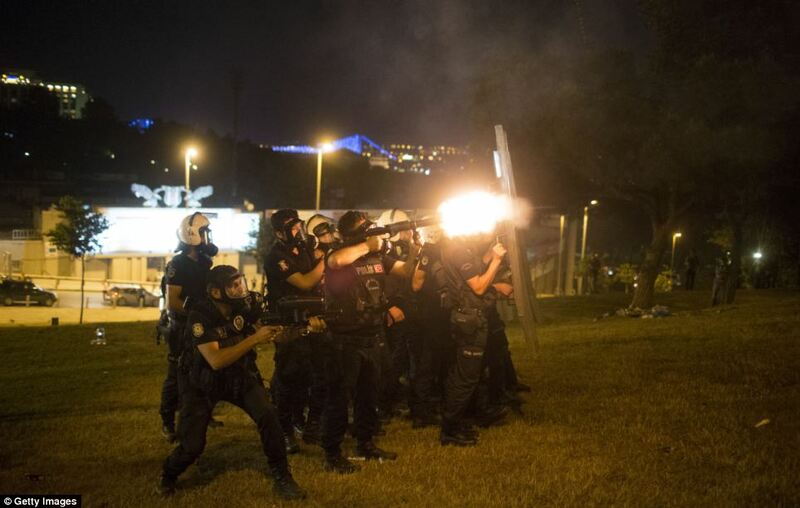 If this was Kurdistan or occupied northern Cyprus, the police would be firing live rounds. 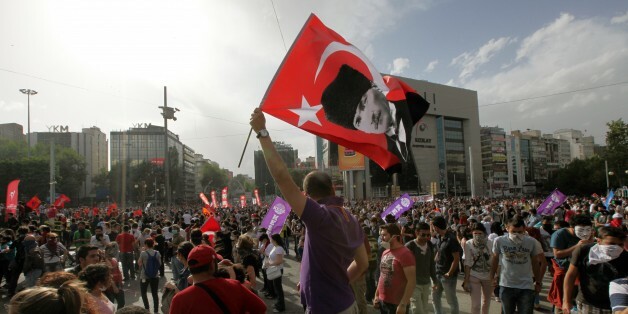 What started out as a protest against a shopping mall in a park in Istanbul, is now in its third day with over 90 protests taking place across Turkey. When the police went in heavy, to crush a protest in a park, people took to the streets. It was the final straw, people are now venting their anger against an unpopular authoritarian Islamic government. They are now calling for the resignation of the Turkish Prime Minister and his government, an apology from the police and an end to all urban development. As with the Arab Spring, social media has a major role to play. The Turkish government is censoring what the media can show. Please ensure this is widely circulated. Note: Concert starts at 16 minutes. Paulo Coelho and Christina Oiticica in Istanbul on St Joseph’s Day. Scenes from press conference at Pera Palace Hotel and Istanbul street scene. Music Istanbul by Orient Expressions. There are always two choices in life, either put up with the conditions as they are, or take the responsibility to change them. I am copying to my good friend, also a warrior of the light, Priya, who will make the necessary corrections. The e-mail was from Brazilian writer Paulo Coelho, and true to his word he published her story on his blog. It happened one fine day when I was at my father’s clinic attending to his patients whilst he was out of town. A lady named Saraswati came with her one year old daughter. The baby was burning with fever, when I took her temperature I realized it was at 103. I scolded the lady for not bringing her baby in any earlier. The lady started crying, saying she did not have the money for the doctor’s fees and medication (I didn’t pay much attention to this since this is a very common occurrence at my father’s clinic). Saraswati then told me her story. She had got married three years ago; her parents paid a dowry of 10,000 rupees. However, her husband ran away with the money and leaving her pregnant. Saraswati returned to her home and took on the job of a servant. Her husband’s family did not care about whether her daughter was sick or well since she was a girl. After telling me her story, Saraswati left. I did not charge her, but I knew that this would not solve her problem. I thought about Saraswati all night and wondered what could be done to help these illiterate, cheated and downtrodden women. Then the next day I received a call from my aunty who needed a housemaid for her daugher-in-law who had just had twins. I felt as if God had showed me a way to help Saraswati. I recommended her to my aunty. My aunty gave Saraswati a good income and a good home to live in. After a few days she came with her sister who was educated and was looking to become independent like her sister. I recommended her to one of my friends for a receptionist’s position. From this came the idea of NAARI, an organization for making women self-dependant. Setting up NAARI was not an easy task, since there are so many legal formalities for female organizations. I was very young and all alone, so I dropped the idea. And then one sunny morning when I was having coffee a group of women came to my house (guided by the ever so dear Saraswati of course). Everybody had a common story, cheated, exploited and dowry victims. I recommended nine of these women to domestic maid jobs. Now these ladies are independent and all eleven of them are working hard to live a respectable life. I may have not been successful in giving them an organization but when one day Saraswati came to my home with a box of sweets because she had got admission for her daughter at a nearby school, she fell to my feet and said : you have given my daughter and I a respectable living, may God give you much success. I realized I had done nothing I just showed them a way – a way to self-respect and thereafter, all eleven of them continued this tough journey themselves. And having been in communication with Pooja all evening, I can only say I agree with Paulo, she is a beautiful soul, who radiates an outer beauty, and she is a good writer. As my lovely friend Iva with who I was chatting later would say (and says of me), she is a typical Aquarian. But it did not end there. She had e-mails following publication on Paulo’s blog, one of which she reproduced as it was yet another story, which was also posted as a comment on Paulo’s blog to the original story. On the eve before fleeing my homeland in April 1975, I was struck with a mysterious infliction (some kind of severe, internal bleeding and clot). Some at the hospital announced I only had a few days to live. Others with my condition had already died. My father refused to believe in this fate for me, refused to give in to the despair swirling around him. He was not alone. Doctors like you make a difference. Hope makes a difference. Thank you to you and to all the doctors out there saving lives. As we say in Vietnamese, cảm ơn bạn rất nhiều. Thank you so much. We all have dreams, but how many follow our dreams? We make excuses, then we bemoan our fate and are envious of others who have all the luck. We are all presented with the same opportunities in life, the difference is that some grasp the opportunities that life offers them, are like Santiago in The Alchemist prepared to take risks to fullfil their dreams. For me it was as a dream come true when Paulo Coelho invited me to his St Joseph’s Day party in Istanbul. Meeting him was like meeting an old friend I had known forever. Being in Istanbul, was in itself like being in a dream. Meeting my lovely friend Sian was like a dream come true. I often used to think when we met, would I wake up one day and find that was all it was, a dream.